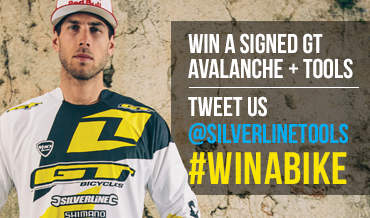 To enter simply head to Twitter, follow us @silverlinetools and tweet us using #WINABIKE. What a wonderful prize draw, to get rid of the winter BLUE'S! Would have loved to enter but havnt got a clue about twitter, shame really love the gt bikes .